Like the range wars once fought over water and grazing rights in the western U.S. in the 1800’s, Minnesotan environmentalists and mining supporters are waging a modern-day range war. Environmental and tribal organizations warn that expanded mining in northern Minnesota will harm wild rice and exacerbate mercury pollution in lakes and rivers. They point to evidence of dwindling wild rice and to DNR listings of dozens of endangered lakes where residents are advised not to eat the fish because of high levels of mercury contamination. 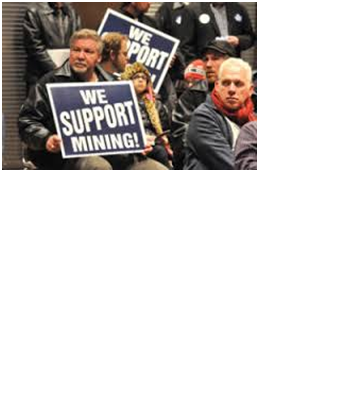 Environmentalists suspect the state will not enforce strict environmental mining controls if Polymet Mining and Duluth Twin Metals mines are permitted to start operations in the Mesabi Range and fear that a wilderness area of the state will be ruined for future generations. On the other side of this battle are 70% of the residents in northern Minnesota, who support mining the world’s largest undeveloped deposits of copper, nickel, platinum, palladium and gold located within the Mesabi Range as their future, if not their birthright. The Polymet proposal is to mine copper, nickel and precious metals for 20 years, although there are proven reserves to continue mining the Northmet project for another 20 years or longer. Duluth/Twin Metals proposes an underground mine that would directly employee over 1000 employees for more than a century and result in 3,000+ related jobs, new housing and schools. Range residents are increasingly writing to local news to voice discontent with DFL lawmakers from other parts of the state making decisions for them. Many environmental groups imply that shutting down Minnesota’s mining industry is the best course of action. But that would be a big step in the wrong direction. There is another solution to this dilemma. It may come as a surprise to many Minnesotans that the US Environmental Protection Agency website on mercury lists mining activities are the least of the major sources of pollution contaminating our lakes and rivers. Coal-fired power plants are the largest source of mercury deposition by a wide margin. According to EPA’s 2008 National Emissions Inventory, coal-fired electric power plants account for 48% of total human-made U.S. mercury emissions. Environmental and tribal groups have been vocal about concerns that high levels of sulfate in lakes and rivers are adversely affecting the health of wild rice. During the public comment period for the Polymet SDEIS, these groups and local media focused on sulfate originating from mine tailing ponds and groundwater seepage. In an April 18, 2014 commentary published by MinnPost, I wrote about the MPCA Wild Rice Study and focused on the mining’s impact on wild rice in the iron-rich waters of the proposed copper-nickel mining area. But is the mining industry the largest source of sulfate? Again, the answer is no. 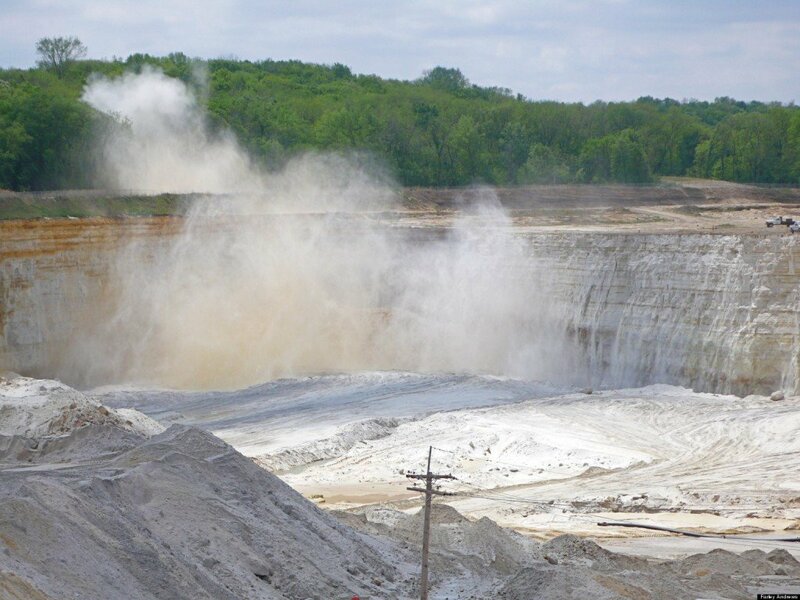 In addition to harmful mercury emissions, coal-fired power plants and other large sources can release large quantities of sulfur to the atmosphere, where it is oxidized to sulfate and eventually deposited in rain or snow. The US Geological Survey rainfall calculator [Link] shows 20 inches annual rainfall for 1 million acres equates to more than 500 trillion gallons of polluted rain falling into the 1.1 million acre Boundary Waters Canoe Area every year. Minnesota’s Arrowhead region spans an area much larger than the BWCAW. That’s a enormous amount of sulfate getting into our lakes and streams from rain and snow. Mining v Environment – Is there a compromise? I wrote that it’s going to be very expensive to upgrade or convert electric power in Minnesota and used the 2012 Minnesota Mining Tax Guide [Link] to illustrate how a redistribution of certain mining taxes can pay a significant portion of the costs of upgrading from coal-fired electricity. Taconite production, ad valorem and property taxes are distributed to regional cities and townships, school districts, counties, Indian Affairs Council, and regional funds and associations. The Occupational Tax is distributed statewide with 40% to elementary and secondary education and 10% to the University of Minnesota. Since these distributions support an economically depressed region of the state, I recommended that distribution of these taxes be left untouched. However, the remaining 50% of the Occupational Tax and all other taconite mining taxes are currently being distributed into the state general fund. These taxes could be re-allocated, along with ALL future copper-nickel mining taxes, to help replace or upgrade state coal-fired power plants required to achieve new EPA power plant emissions regulations by 2030. This would also eliminate what the EPA identifies as the largest source of mercury and other harmful pollutants contaminating our wilderness areas. Production year 2011 tax obligations from Minnesota mining companies was nearly $128 million, even with the recent downturn in worldwide iron ore demand. Everyone knows we produce taconite. What is less commonly known is that along a long, narrow geological formation within the Mesabi Range, Minnesota also hosts the world’s largest undeveloped body of copper, nickel, platinum, palladium and gold ores, with an estimated valued of $3-$4 trillion. Three of these minerals – nickel, platinum and palladium – are currently facing worldwide shortages due to politically unstable situations in other countries. Mining in our own nation gives us a strategic advantage when a country like Indonesia cuts off the majority of the world’s nickel supply, and when sanctions are imposed against Russia, which produces 40% of the world’s palladium. Mining the narrow Mesabi Range would not only be of strategic importance for the United States, it would be a windfall for Minnesota, generating billion in taxes that can be put to use within our state. Minnesota’s mineral mining taxes are presently being audited by the 12-member Legislative Audit Commission. It’s time our governor and lawmakers put an end to the debate over a mining industry that contributes less than 3% of the pollution affecting Minnesota wilderness areas. By permitting responsible mining in the area that has long been designated for mining and forestry, and by re-allocating taconite and future copper-nickel-PGM mining taxes to help power companies upgrade coal-fired power plants, we can eliminate nearly half of the mercury depositions and other harmful pollutants contaminating our lakes and rivers. The U.S. senators and representatives elected to represent us in Washington can help by getting grants from Congress and EPA for gas-fired conversions or carbon-capture technology for our coal-power plants. This will supplement mining taxes and eliminate the need to burden small businesses and homeowners with higher taxes and utilities bills. Many fear that a continuing war between environmentalists and mining advocates in Minnesota will split Minnesota’s DFL party, not unlike how Tea Party activists have fractured the GOP. That would be a tragedy, but many are so entrenched in their positions that it has become a very real possibility. Many appear to have forgotten what it means to compromise. This area was promised for mining and forestry. I encourage Minnesota’s governor and lawmakers to show the willpower to set aside special interests and demonstrate the courage to do the right thing. We can mine our rich resources, eliminate half the mercury pollution annually deposited into our wilderness areas, and can meet tough new EPA regulations by 2030. We can also put an end to this range war. Harlan Christensen is an independent writer, business executive, ordained minister and investor who seeks, supports and invests in new technologies, job training and job opportunities that enable families living in poverty to build a better life. Harlan is a Polymet shareholder, with investments in other science, medicine and technology companies. He spent many years of his life in Finland, MN, near the Superior National Forest, worked in Duluth, MN and is an avid fisherman and hunter. He now resides with his family in a suburb of the Twin Cities. One day I sat down to write in my journal. I typed the date and then the year— 2914. I looked at the year a couple of times and thought, “That doesn’t look right.” Finally I grasped that it was 900 years from now. Nine hundred years!!! Not just the future, but THE FUTURE. Holy cow! I felt the wonder I always feel when I contemplate primordial, ancient or medieval times—The passing of time. I started wondering about my great-great-great-great, etc. grandchildren. Who would they be? How would people live? Would people pair up into couples or would they form intimate pods of threes and fours? Would there still be races? Would Minneapolis still be here? How much of North America would be under water? Would there have been a nuclear holocaust? It was a strange, mystical experience.